Although I certainly do not believe you have to have a Michelin Star for your restaurant to be world class, I don’t think it hurts to do these incredible chefs the honour of making a pilgrimage to their restaurant for a special occasion dinner. Add to this the fact that, believe it or not, the phrase ‘Michelin Star Restaurants Scotland’ gets googled 2500 times a month! There is an obvious demand to bag a Michelin starred restaurant! So hey, we thought we’d go with the majority on this one and pull them together for you. 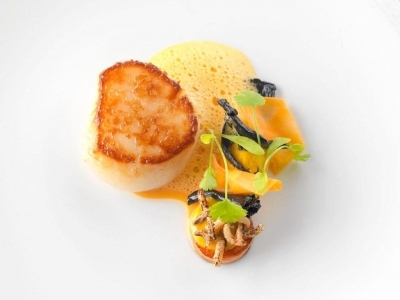 Located at the prestigious Gleneagles Hotel, this restaurant can only be described as ‘technically the best restaurant in Scotland’ due to being Scotland’s only restaurant to hold 2 Michelin stars. The restaurant itself is elegantly decorated and the food combines French and Scottish cuisine in perfect harmony. The smoked lobster is an absolute must!! Fancy a luxurious treat in the capital? Then I highly recommend Number One Restaurant at The Balmoral. The restaurant presents creative, modern Scottish cuisine using only the finest and freshest locally sourced ingredients. The chef’s passion for creating the best dining experience has seen Number One awarded its Michelin star for 16 consecutive years. Beautiful, grand hotel too! The Kitchin is a chic, converted whisky warehouse on Edinburgh’s Leith waterfront. I love the décor, stylish yet relaxed. But it’s the seasonal local ingredients that make it a winner. The restaurant picked up its Michelin star in 2007 and since then has been granted many more accolades 'Best UK Restaurant', 'Best Restaurant in Scotland' and in 2015, was awarded 'Best Restaurant Experience' – so this is definitely one for the foodies. 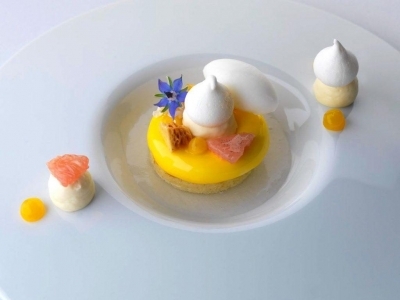 Restaurant Martin Wishart is an elegant, modern, fine dining venue located in Edinburgh's historic port of Leith. It was first awarded a Michelin star in 2001 and has retained it ever since. Martin Wishart, an Edinburgh-born chef takes inspiration from a myriad of mentors to create his own piece of culinary magic. I’d say this one is an Instagrammers paradise - beautifully presented food. Looking for anniversary inspiration? The Peat Inn Restaurant with Rooms near St Andrews offers an intimate and relaxing setting for lunch or dinner. Additionally, The Peat Inn offers eight luxury suites for a rather special occasion, where the pleasures of the table can extend into an overnight stay. They also serve you breakfast in your room. I should also mention that it is great for whisky lovers. They are extremely knowledgeable in this field and have an extensive list of whiskies should you fancy a wee dram! 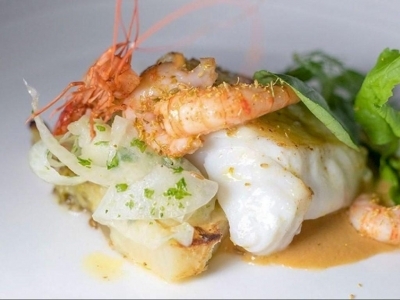 Loch Bay is a contemporary restaurant located in an old fishing village named Stein, on the beautiful isle of Skye. Run by a husband and wife team, Loch Bay is recognised for its faultless serving of local seafood with classic French influences. This little gem prides itself in providing a Michelin Star dining experience in a comfortable, casual setting. It is a wee bit of a journey to Loch Bay, but whether you are looking for lunch or dinner it is totally worth it! 21212 on the Royal Terrace in Edinburgh is headed up by chef Paul Kitching, former owner of legendary Manchester restaurant, Juniper. He is not shy to try new things, so changes his menu weekly. 21212 will be celebrating its 10th birthday next year as well as their tenth consecutive year being awarded a Michelin star. The pleasures of the table can extend to a fabulous over night stay, as they have some sumptuous bedrooms upstairs. And that was it. Hmm, we could probably do with a few more couldn’t we? But of course, there ARE so many more superb, elegant and artful restaurants in Scotland that take their food extremely seriously. Many of them are listed on the Chic Scotland directory. There are a couple more that we thought we’d mention here. Lets not leave Glasgow out – the Gannet is incredible. And in Aberdeen – Moonfish should definitely be on your list. Others that used to have a star and are still amazing – The Cellar in Anstruther and Braidwoods in Ayrshire. Last but by no means least – you must try Inver in Argyll, where you can also stay the night in one of the bothies overlooking the Loch. Stunning.